The First Coota Haycarters race was run as a fundraising interclub race. It has grown from a 40 field race to one of the biggest handicap races for its distance staged in NSW. The race is held in May each year and continues to grow and attract riders from all areas of NSW and Victoria. 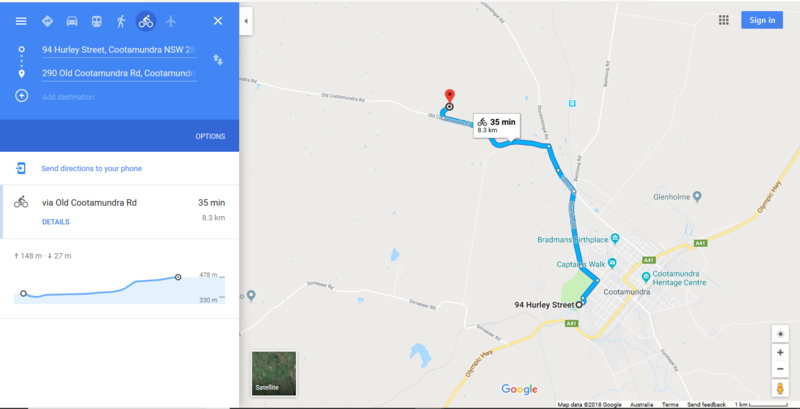 Held on the western side of Cootamundra, the new route promises the same rolling hills, exciting views and electrifying racing that this handicap weekend has always been known for. Sign on will be held at the Cootamundra Country Club, 94 Hurley St Cootamundra from 12:00 pm sign on location. Day 2 of the Haycarters sees riders taking on a shortened version of the previous days course, it may be shorter but its just as challenging! The first Coota Annual Classic was run in 1955. Held during August, this race still continues to attract quality fields. Many prominent cycling names feature amongst the winners of this race including riders such as Graham Brown and other Olympic and Commonwealth Games medallists. The Coota Annual Classic is always held on the last Saturday in August with a recovery race on the Sunday. Fast, exciting racing on a picturesque route of rolling hills awaits riders – but riders are advised not to race too hard too early, as a new leg-screamer of an uphill finish awaits the winning bunch! Presentations will be held at the Country Club immediately following the completion of the race. Presentations will commence at the country club following the completion of the race.